Milford, CT (Restaurant News Release) Rules are made to be broken and Subway® restaurants are breaking the rules with the launch of its New Ultimate Cheesy Garlic Bread. The New Ultimate Cheesy Garlic Bread features a garlic butter spread made with real butter and roasted garlic, melted parmesan and shredded mozzarella cheese that create gooey, bubbling perfection. Sub lovers will no doubt be transported to a happy place of garlicky cheese pulls. 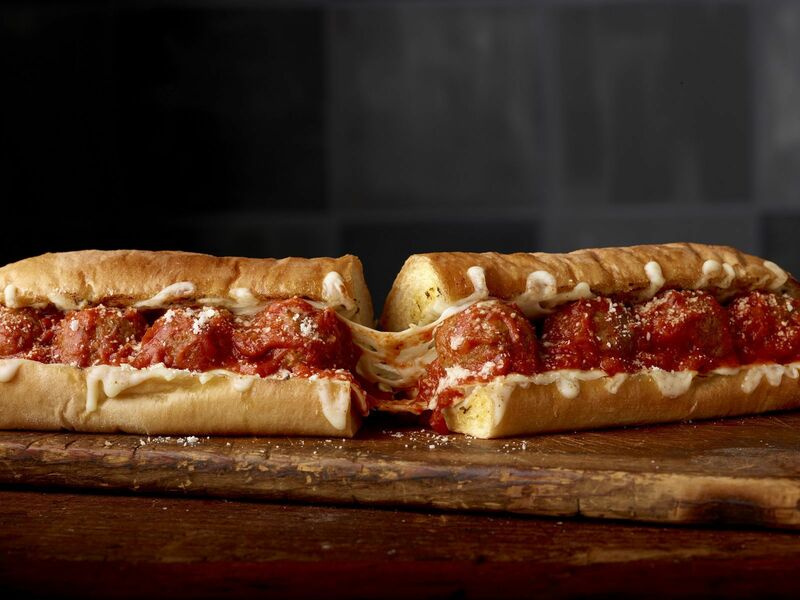 The Ultimate Meatball Marinara Sandwich is drenched in irresistible marinara sauce and piled high on warm New Ultimate Cheesy Garlic Bread. The Ultimate Spicy Italian features the perfect combination of pepperoni and Genoa salami that is packed tightly in the gooey, New Ultimate Cheesy Garlic Bread. The New Ultimate Cheesy Garlic Bread is available at participating U.S. restaurants now through February 27th and is the latest example of Subway’s commitment to bringing industry-leading food innovation to market. For more information, please visit Subway.com. Join the conversation on Facebook, Instagram and Twitter. Subway offers a fresh alternative to traditional fast food, serving 7 million made-to-order sandwiches a day. Guests choose from over 4.9 billion combinations of quality proteins, fresh vegetables, and bread baked daily in the U.S. The world’s largest restaurant chain serves nutritious options and delicious subs, soups, and salads at about 44,000 restaurants in more than 100 countries. The Subway experience is also delivered online at Subway.com, through Subway.com/Delivers, and the Subway® App, available at the Apple App Store and Google Play. Founded by then 17-year-old Fred DeLuca and family friend Dr. Peter Buck more than 52 years ago, Subway is still a family-owned business, working with more than 21,000 dedicated franchisees in communities around the world.